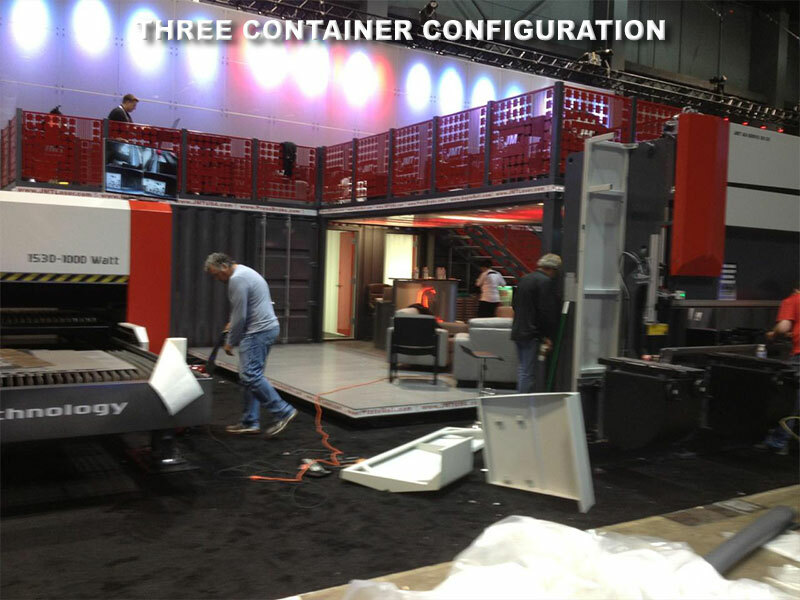 This unique tradeshow display was custom-designed to be used at heavy equipment conventions. 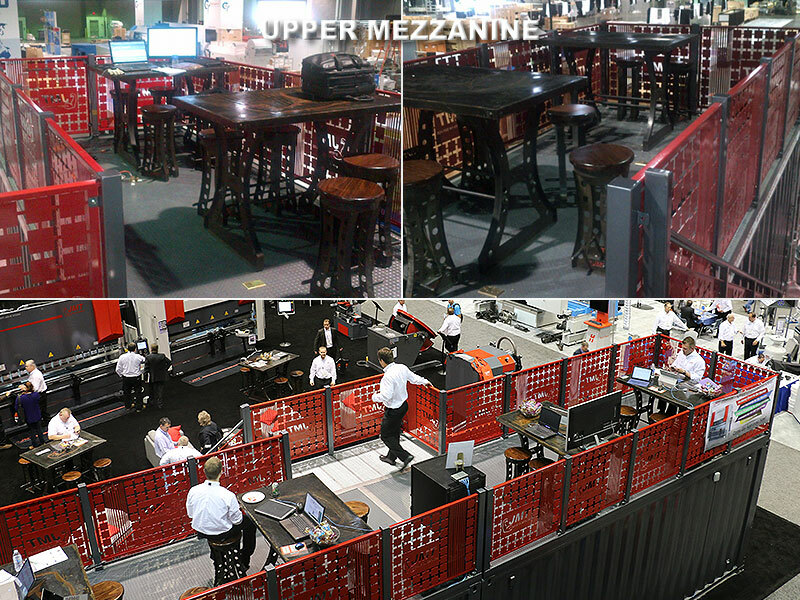 The display consists of three shipping containers that can tranport chairs, tables, displays and other items for a booth, then the modular containers can be used at the booth as part of the display, including two offices, an upper-deck meeting and viewing area, on-site storage, an area to route booth power through, etc. 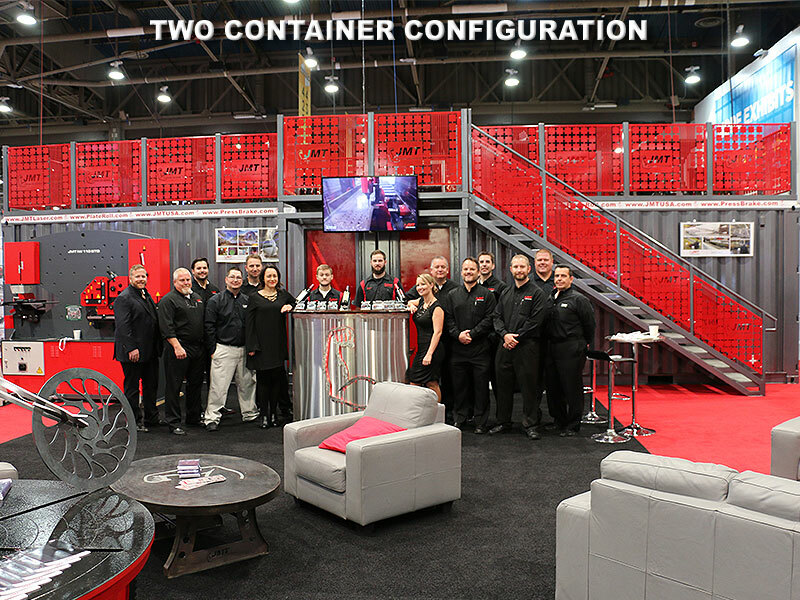 Featured prominently at the FABTECH metalworking machinery convention in Chicago, Atlanta and Las Vegas from 2013 to 2016, both a two-container backdrop configuration and a three-container T-shaped meeting area configuration were used. 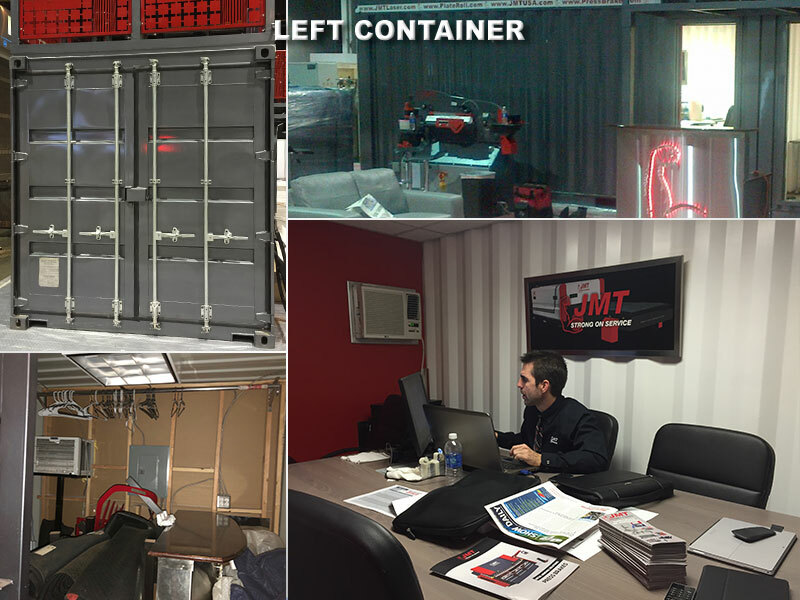 Two of the containers feature an office with sliding door with a storage area on the far end (the two containers come together so that the offices doors are next to each other), while the third container has sides that drop down to form ramps up to an optional covered meeting area. 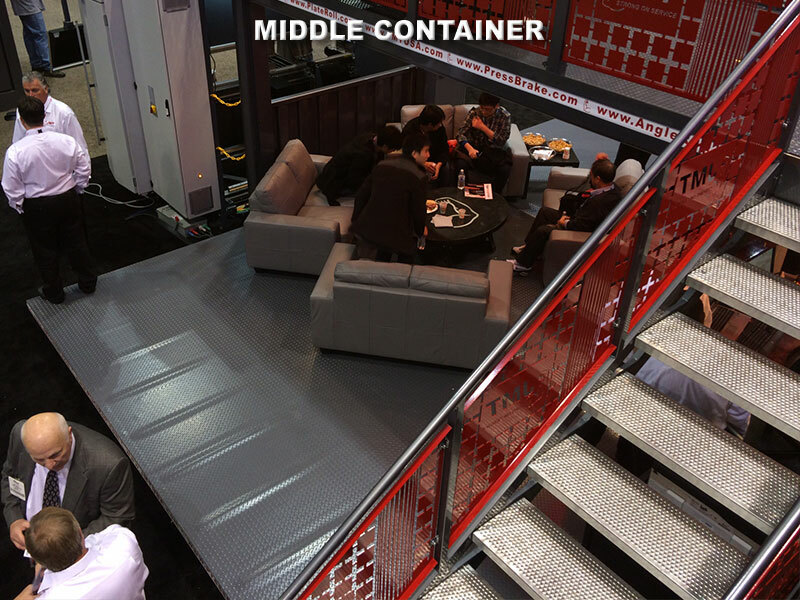 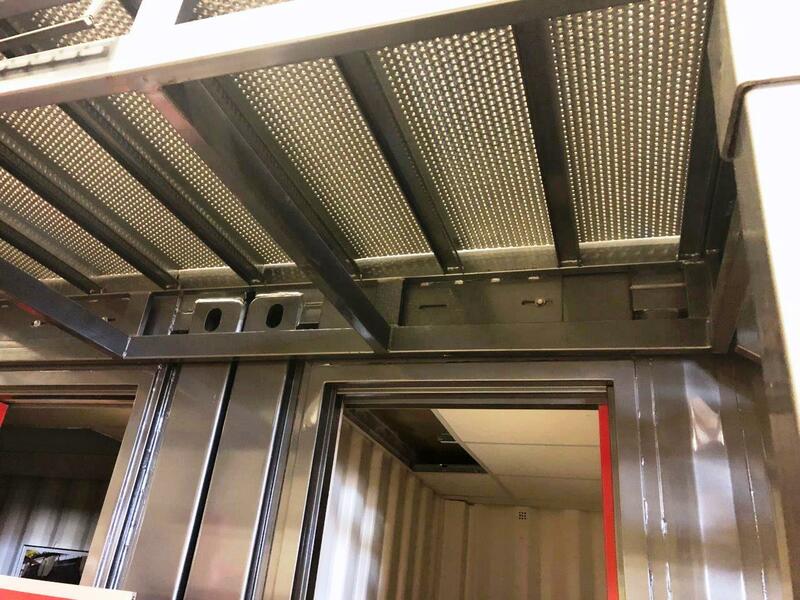 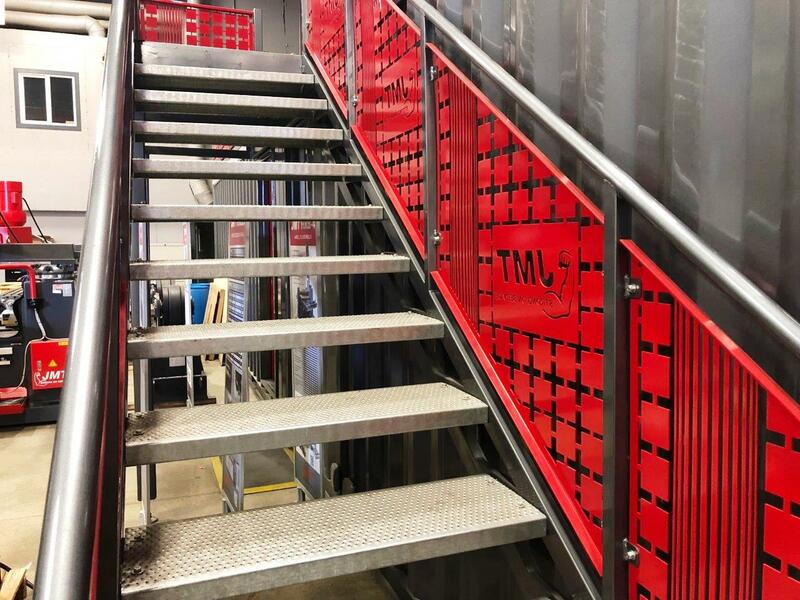 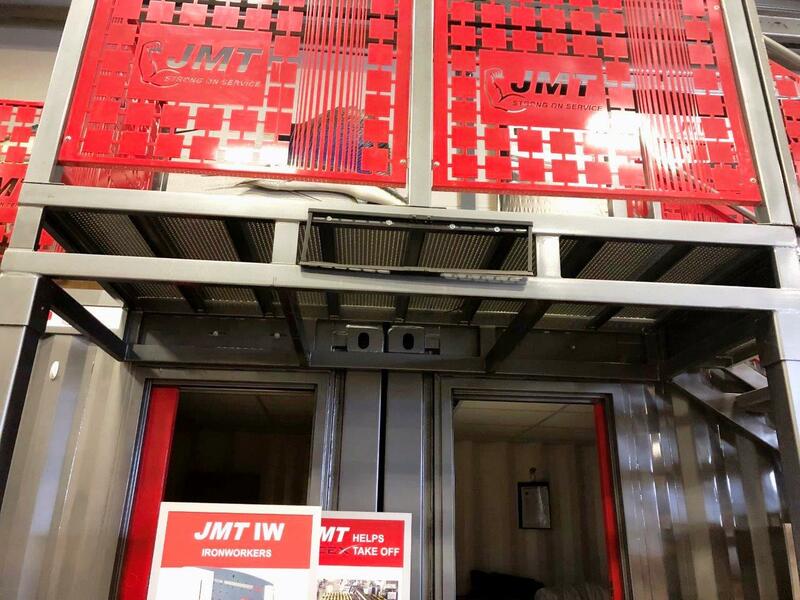 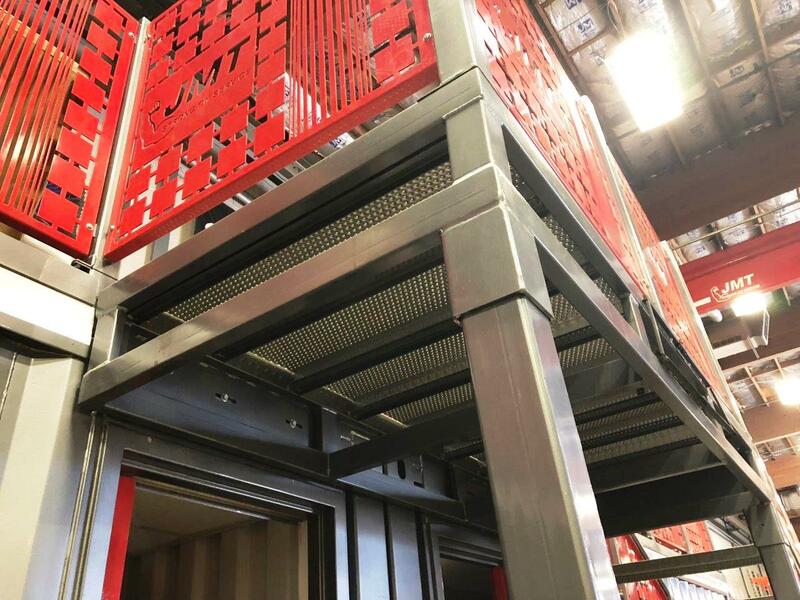 The overhead mezzanine area is available in either the two or three container configuration, as is the staircase leading up to it. 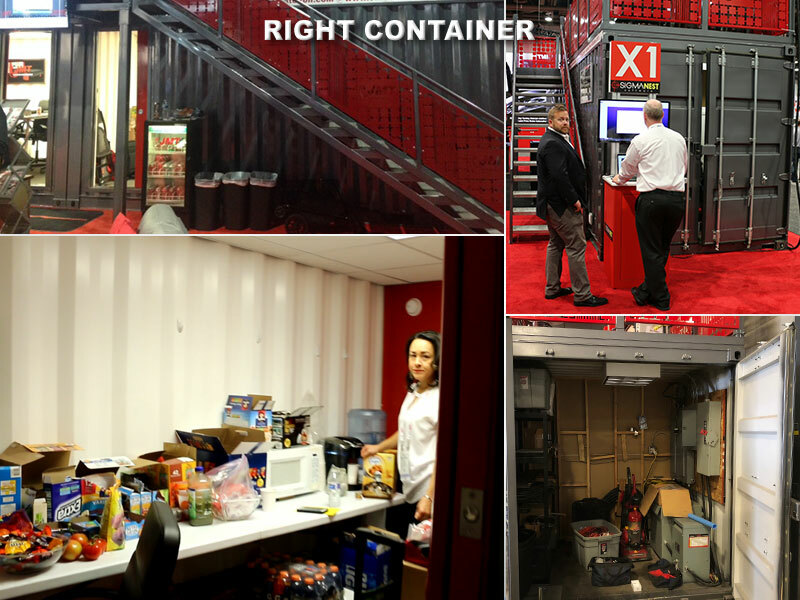 All three containers are being sold as a set.